Implementing Salesforce knowledge gives your organization a knowledge framework on which you can create and manage information to be shared with external and internal users quickly and easily. Whether or not you have already decided to use Salesforce Knowledge (SK) within your organization, there are many important considerations to be made before you can move forward into implementation. 1. What level of control needs be exercised over the article lifecycle? Perhaps you want to give your teams the authority to write, review, edit and publish articles for purposes of solving customer problems, but you don’t want to allow excessive leeway on the publishing process. You can use SK’s flexible settings on management of articles within your organization. The suite allows you to appoint article managers as well as create a customized approval process for articles of various types to allow for managerial or legal review prior to publishing. 2. Will articles to agents from your organization need to be present in different formats? You have many different options in the market should you want to store articles related to organizational support, but none comes close to the quality, power and customization abilities offered by SK during the creation process. You can create your own article templates to allow information to be fed in and presented to users according to formats that are most useful for them. SK also allows creation of article types and type layouts with which you can organize support articles. 3. Do you have specific target audiences for specific article types? If your organizational knowledge base can be split into subsets intended to reach out to different audiences or groups, you can use the Data Categories settings in order to feed the right information to the right audience. Data categories in SK provide a list of hierarchical criteria that divides articles in relevant groups. On creation, articles are grouped according to the defined categories (e.g. by region or product). Once the data categories have been defined and assigned to corresponding articles, users can easily find the articles they need. 4. Do you need detailed metrics and reports on support articles published in SK? If your intention is to not only furnish customer support executives with in-depth and quality articles, but also to monitor and produce detailed reports on the utilization of support articles for purposes of maintenance and improvement of the organization’s knowledge base, you are definitely in the right hands using Salesforce GitHub and SK. Salesforce knowledge provides advanced settings for generation of bespoke article reports. In addition, the Knowledge Base Dashboards and Reports application can be downloaded from the AppExchange and installed. Using these tools; view ratings, article usage, statistics and search metrics according to role or channel to enable proactive management of organizational content. 5. Do you use multiple organizational support channels? If you’re looking to share your articles beyond your internal support network to different channels, SK is excellent since it allows you to add up to four different sharing channels. Your internal users can access the knowledge base through the Salesforce CRM directly, partners and customers can use the Partner and Customer Communities for access and the Public Knowledge Base can be used to allow the general public access. Add-ons are available from the AppExchange. Author bio: The author has over ten years’ experience as a customer relationship management software expert, and has written articles shared on many platforms throughout the Internet. 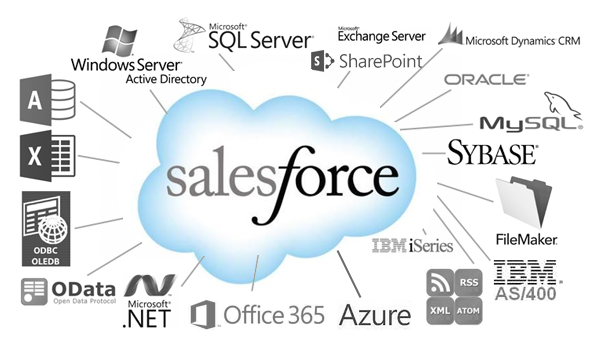 Visit http://www.flosum.com/salesforce-data-migrator/ to learn more about data migration using Salesforce, and other relevant information.